Originally the Vickers Valiant was to be downgraded from its rôle as a nuclear bomber to serve as a refuelling tanker aircraft for the RAF. Just as that decision was taken it was discovered that there were severe cracks in the wing main-spar of many aircraft and the decision was taken to ground the entire fleet of Valiants. 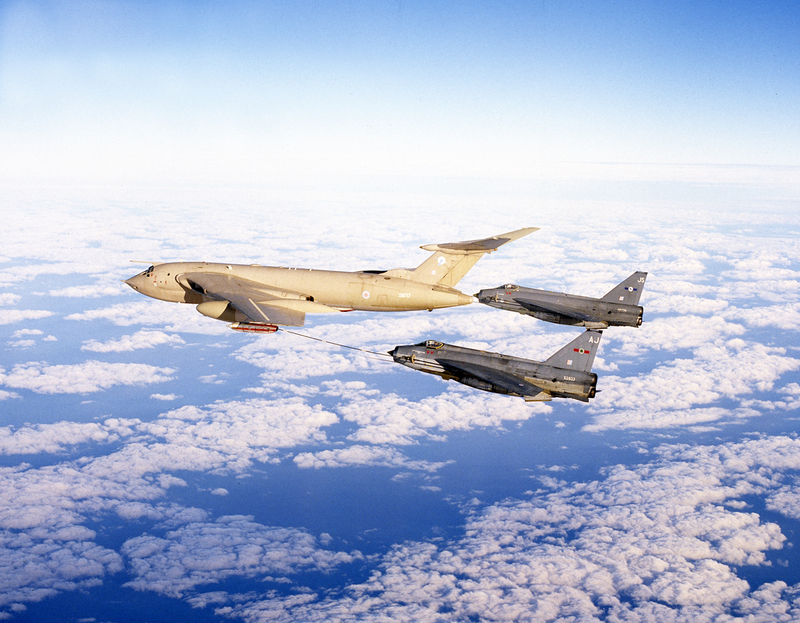 This left a major problem for the RAF as they had an urgent requirement for a tanker. The only aircraft available to fulfill this rôle was another of the RAF’s V-bombers – the Victor. 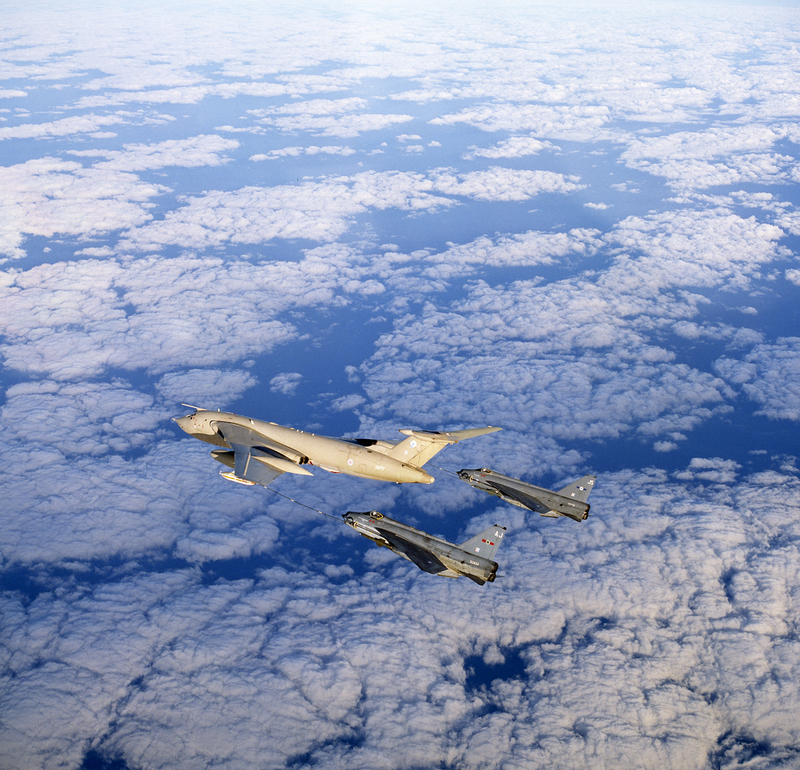 This Victor is seen here on a late-October afternoon in 1989, 28,000 feet over the North Sea refuelling Lightnings from 5 Squadron and 11 Squadron based at Binbrook in Lincolnshire. I had the great pleasure of having a dog-fight with these two aircraft during our return to Binbrook. It took three operations in hospital to remove the silly grin from my face afterwards!